Thank you, Kayelle...you are so easy to work with. ^_^ I love doing this stuff! Glad you were here, Lisa. That was fun. 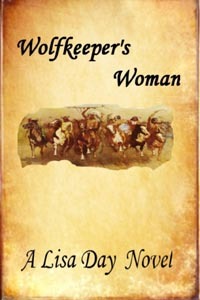 I really enjoyed it and can't wait to read Wolkeeper's Woman. Very nice girls! thanks, Brenda. :) Neat character, isn't he?